support Indian interests in Indian law cases before the US Supreme Court, develop amicus strategy and coordinate the filing of amicus briefs. The Project has established a large network of attorneys who specialize in practice before the Supreme Court as well as attorneys and law professors who specialize in federal Indian law and other relevant areas of law. The Native American Rights Fund and the National Congress of American Indians jointly staff the Tribal Supreme Court Project. The Project makes case documents and other materials available at its website (https://sct.narf.org/). During the period of this three-year grant, review by the United States Supreme Court was sought in sixty-one cases involving Indian tribes or Indian law. Seven of those cases were ultimately heard and decided by the Court. The Project’s assistance included coordinating forty-one amicus briefs supporting tribal interests before the Court as well as strategic consulting and moot courts. 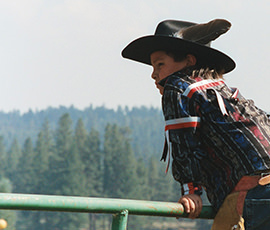 The work of the Tribal Supreme Court Project is to support foundational principles of Indian law and shed light on the unique challenges facing tribal governments.